I take doughnuts very seriously, which means I also take National Doughnut Day, a made-up marketing ploy, very seriously. Some amateurs might be satisfied to snag a free donut with any beverage at the local Dunkin' Donuts, but not me. This year I wanted to level things up Bushwick-style: with a vegan Luther Burger. For the uninitiated, "Luther Burger" is the official name for a hamburger or cheeseburger that substitutes a doughnut for a bun, and its origins can allegedly be traced back to the late, great Luther Vandross. It's just as bad for you as you might think, and it's delicious. 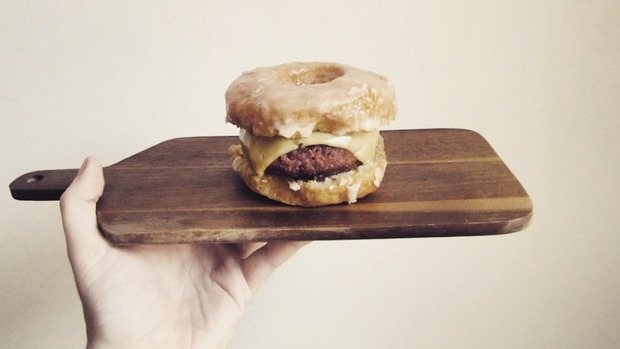 There are preexisting vegan variations on the traditional Luther Burger, one of which I've actually seen as an off-and-on limited-time offering at our very own vegan donut heaven Dun-Well Doughnuts (222 Montrose Ave.) BUT, have any of those recipes tapped into the magic of the Beyond Burger? 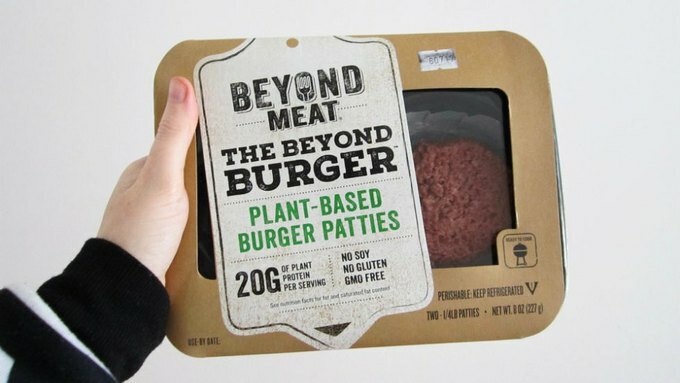 (The vegan 1/4lb patty that "bleeds"?) I did a little Google research, and as far as I can tell it hasn't become a "thing" (yet). 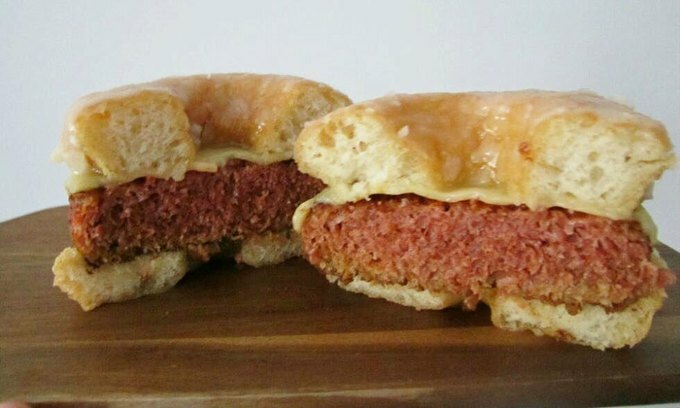 And so I had my National Doughnut Day 2017 epiphany: the Luther Beyond Burger needed to be created. By me. 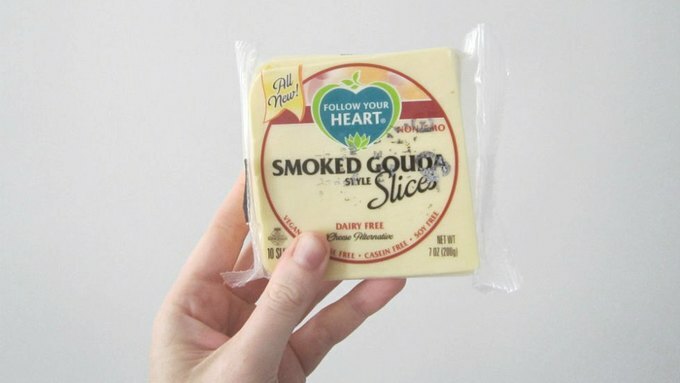 The first step was hitting up the Williamsburg Whole Foods to get the Beyond Burgers (which cost $5.99 per 2-pack) and the vegan cheese (I went with smoked Gouda-style). Some Luther Burgers incorporate traditional toppings like lettuce and tomato, but I think that's pretty fucked up, so all of those things were omitted from the shopping list. The next step was obviously obtaining a vegan glazed donut from Dun-Well. The daily selection included flavors like maple and blueberry, which were tempting, but I ended up going the traditional route with a plain. And with all three of the ingredients in hand, I could finally get down to cooking! The Beyond Burgers are pretty hard to mess up; you just need to sear them on a medium-hot pan for three minutes on each side (the package warns explicitly not to overcook), and while your smoke alarm may go off (not that I would know), it's a pretty foolproof process. Bottom line: I regret nothing! I will probably repeat embarrassingly soon! 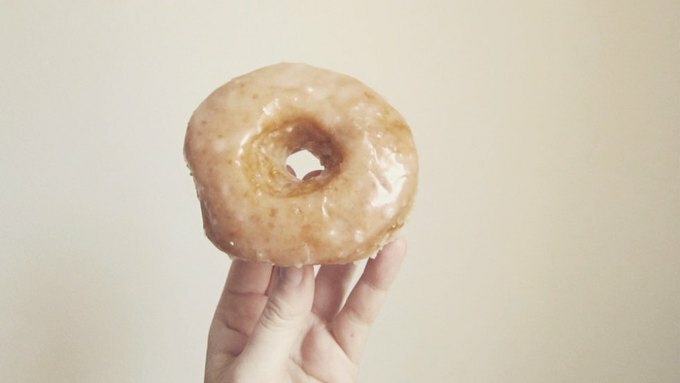 Happy National Doughnut Day, and to all a good Bushwick night!